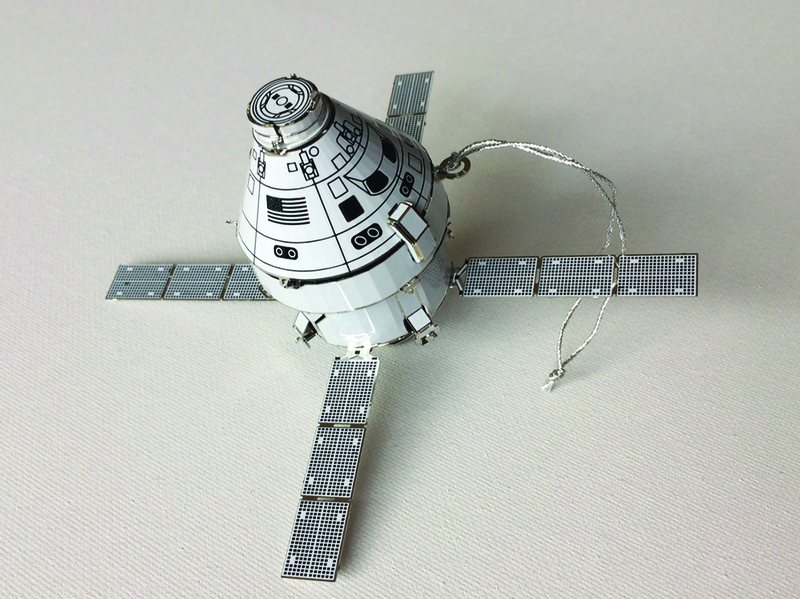 Inspired by NASA’s Orion Multi-Purpose Crew Vehicle spacecraft, a Sunnyvale resident has designed and is selling an ornament that will please aerospace addicts this holiday season. Richard Lesher, 46, is a veteran and stay-at-home dad to a toddler and two-month-old. As a child he wanted to be an Air Force pilot and dreamed of walking on the moon, but ended up spending 20 years in corporate finance and banking before becoming an Army reservist, marrying his wife and having his two children. Although his two jobs keep him plenty busy, the idea to develop and sell a space-related holiday ornament came to him when his wife’s aerospace company was searching for a gift to give its employees last year. 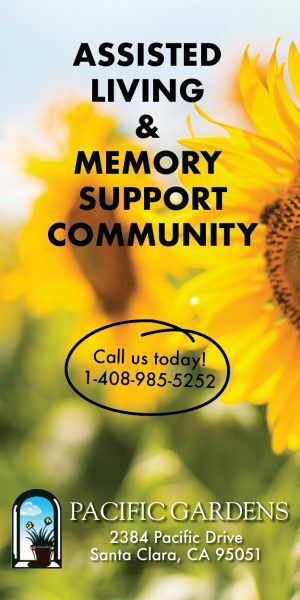 After being unable to find a product similar to the products her company made, the organization outsourced the job, which gave Lesher an idea. In realizing there was a gap in the market of space-oriented ornaments, he took it upon himself to fill that need. Lesher said he began his company, Satellite Ornaments, this past August, when he began working on obtaining business permits. Then, collaborating directly with a design team and manufacturer on the East Coast, Lesher developed a design closely resembling the Orion. He had the first prototype made and then tweaked it to come up with the final 3D product, which is made out of lightweight metal. However, because of his somewhat late start in development, production was put slightly behind. He currently has a product page created on Amazon, but Lesher said the actual satellite ornaments will not be in his hands until mid-December. This leaves little time for people to purchase them for their own tree, but enough time for customers to buy them as a gift for their friends and family. Although Lesher’s Satellite Ornaments are still at the infantile stages, he has plans on ways to further expand the line to capitalize on general interests like fire trucks, cars, boats and other spacecraft. But first, he said, he wants to put feelers out with this ornament and gauge customer interest. The biggest challenge moving forward, he said, is figuring out a cost-effective way to get his product into people’s hands, as potential customers are inundated with items found online. 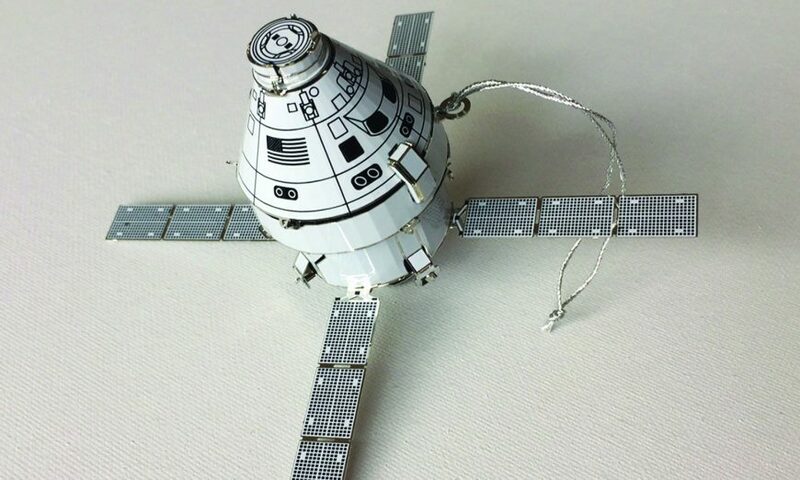 The “Orbiting Multi-Purpose Crew Vehicle – Metal Ornament Orbiting Multi-Purpose Crew Vehicle,” as it’s named on Amazon, will sell for $34.99. Visit amazon.com/gp/product/B07KKN5NJQ for the product page, which will be updated once inventory arrives or email info@satelliteornaments.com for more information.